Are you currently in the process of remodeling your home or plan to do so in the near future? If you are there are so many things that have to be considered in order to conduct a safe and successful project. One very important activity when engaging in remodeling projects is waste removal because remodeling can accumulate significant amounts of waste that require proper and efficient removal during the course of the project. When speaking about waste removal it not only relates to the collection of waste or junk from premises but also the transporting of these materials after collection to a specific location where it is processed and discarded in an environmentally friendly way. Here at Junk King we specialize in the removal of all types of junk and no task is too big or too small for us to manage. So if you are conducting renovations and need waste removed we’d be happy to come in and give you a hand. Remember we transport and process your waste with no additional or hidden fees and no hassle to you. When remodeling various forms of waste can be a result of changes made and some of the items or products contained in waste are considered hazardous and can cause serious injury or harm to health. Nails, glass, fibreglass, paint, flourescent lights, plastic, ceramics etc. can all be found in construction waste and if handled incorrectly can pose serious threats of injury or harm to health. Heavy, cumbersome, items are also risky to handle as persons can suffer from back or shoulder injuries when attempting to dispose these items . This is why it is strictly emphasized to contract a waste removal company when conducting renovations or doing any form of remodeling. Carrying out home remodeling projects in an environmentally friendly manner is also very important as it ensures health and safety overall and reduces the wastage of resources. Essentially this is done to encourage safe disposal of waste as well as to avoid water contamination, pollution or any major health issues especially when dangerous and hazardous waste is involved. So when embarking on home remodeling projects using the services of an environmentally friendly waste removal company would be the best decision. Doing this not only aids in helping homeowners to make much needed improvements around homes but also to have a wholesome and positive impact on the environment. Along with the highest quality waste removal services Junk King has also taken initiative to incorporate eco friendly practices like recycling as part of their mission to conduct safe and efficient waste removal. Additionally to show our dedication to ‘green’ junk hauling our company provides top notch waste removal service 7 days a week and up to half the waste we remove is recycled. Our walk in MINI dumpsters can also serve as an excellent waste removal solution and we drop off and pick up dumpsters quickly. 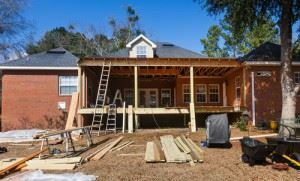 If you are remodeling or will be doing so soon visit our website at www.junk-king.com to book online or call us at 1-888-888-JUNK to schedule an appointment right away. This entry was posted in Sonoma Junk Hauling, Sonoma Junk Recycling, Sonoma Junk Removal and tagged junk hauling, junk removal, Napa Junk Removal on July 19, 2017 by mattverga. Last updated July 24, 2017 . The Health Benefits of Junk Removal…Wait, What?